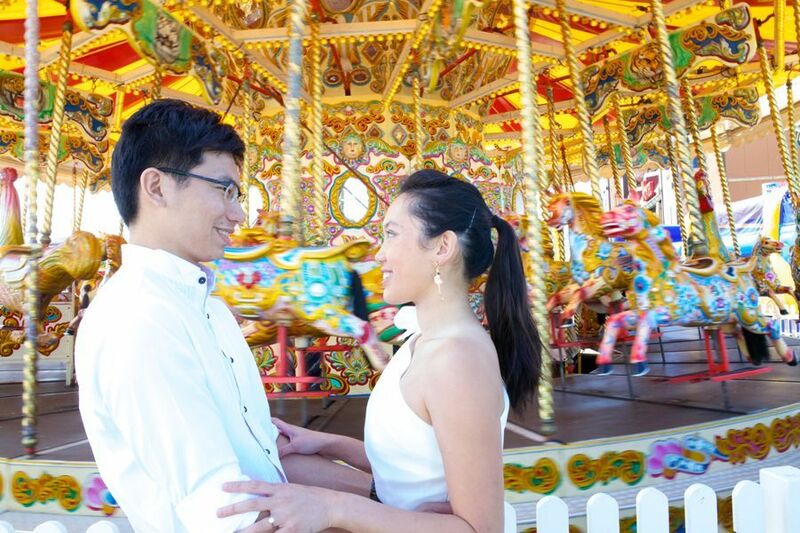 When Janis and Dennis from Hong Kong visited the UK on business, they headed to the bright lights of Brighton and fell in love with our cool and quirky seaside city, so much so that they decided to base their engagement shoot here with the help of fabulous photographer Jennifer Smith. Hi Dennis, it’s lovely to chat to you! So, tell us, how did you two meet? We were at the same uni, and had a bunch of friends in common but didn’t know each other until the summer of 2011, where we had a big party and met. We were interested in each other and had peeked through the other’s Facebook profile for a thousand times, but didn’t really talk because we didn’t know how to start. Two months passed by and one evening at around 5:30pm, I was tired in the office so opened up my Facebook page to be nosy, and then just went back to my work. A few minutes later I saw text jumping on the screen but I wasn’t doing anything! A hacker had hacked into my account and was talking to her, asking her to wire some money to a bank account! I immediately called a common friend to get her number, she did the exact same thing trying to tell me I got hacked. So thanks to that anonymous hacker, the long awaited chance to start a conversation was there. One month later we were together. How amazing was that? 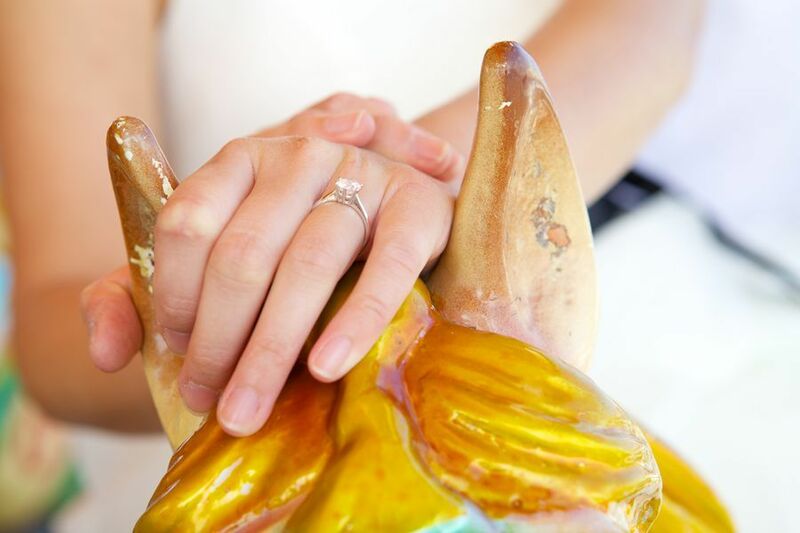 Can you tell us how you proposed? 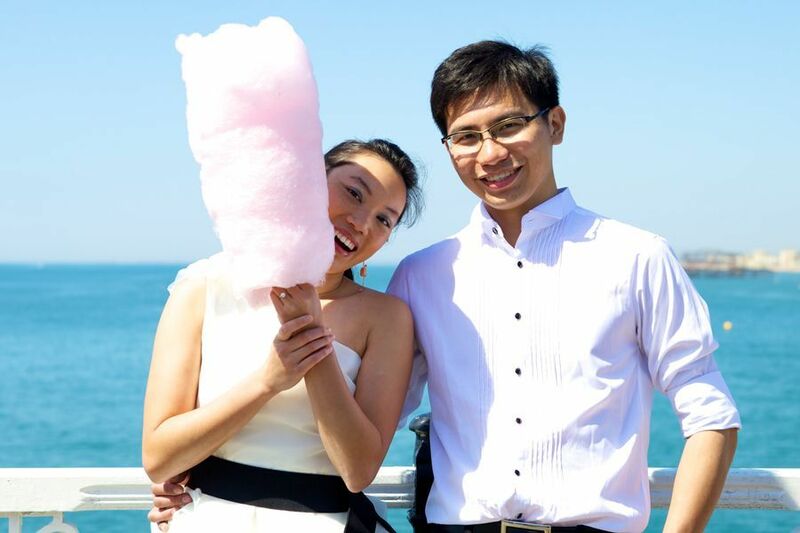 On our 1st anniversary I took her to a fancy restaurant on the southern coast of Hong Kong. I requested for a seat on the balcony and we had a nice dinner. When it was time for dessert, my friends (who had sneaked in downstairs!) raised a helium balloon with a letter attached to it. So, I gave her the letter and while she was reading it, I gave her the ring and proposed. The rest went the way it supposed to be. That sounds lovely! 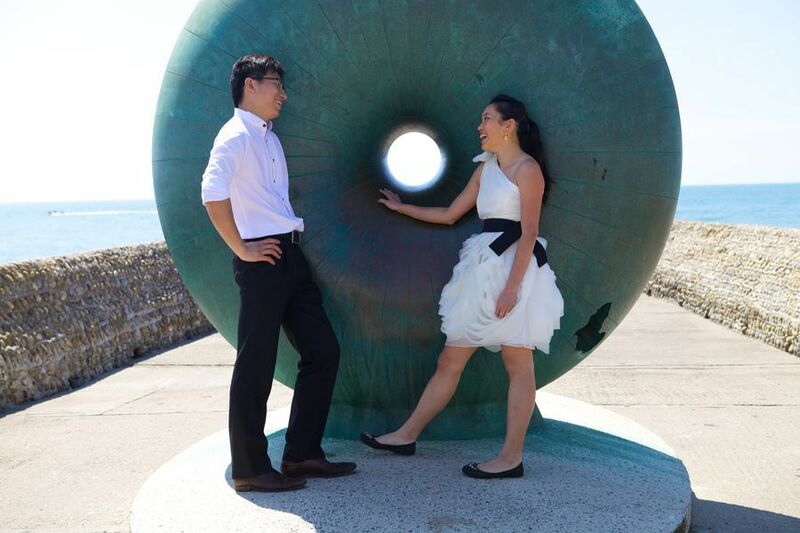 How did you end up having your engagement shoot in Brighton? I had the opportunity to work in the UK for a month so we decided to use the opportunity to have our engagement photo shoot here. Originally we thought of London which is where everybody goes for their photos. But then people started telling me that I had to visit Brighton and I’m so glad I did. It’s got the beach, the pier and of course, the Royal Pavilion, all of these merge into a spirit of liberty and fun. Bingo! It was exactly the look we wanted, so we decided to go for it! The photos were perfect and everyone loves them! What were your ideas for your engagement shoot and where did you get them from? We have to thank our photographer, Jennifer Smith who gave us so many great ideas! In the very beginning, we were scouting for wedding photos ideas and we saw some with people shooting pictures in front of a merry-go-around and Janis loved it. 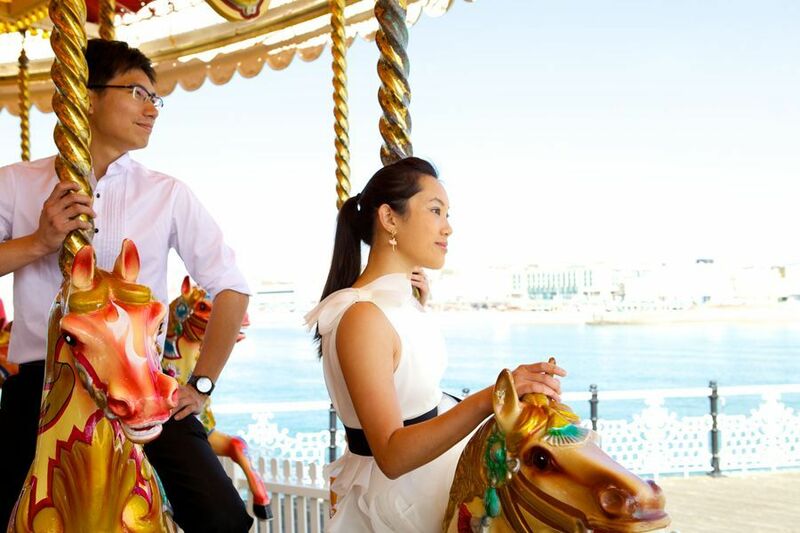 So when we found Brighton had got a merry-go-round on the pier, we asked Jennifer to use that in our photos. 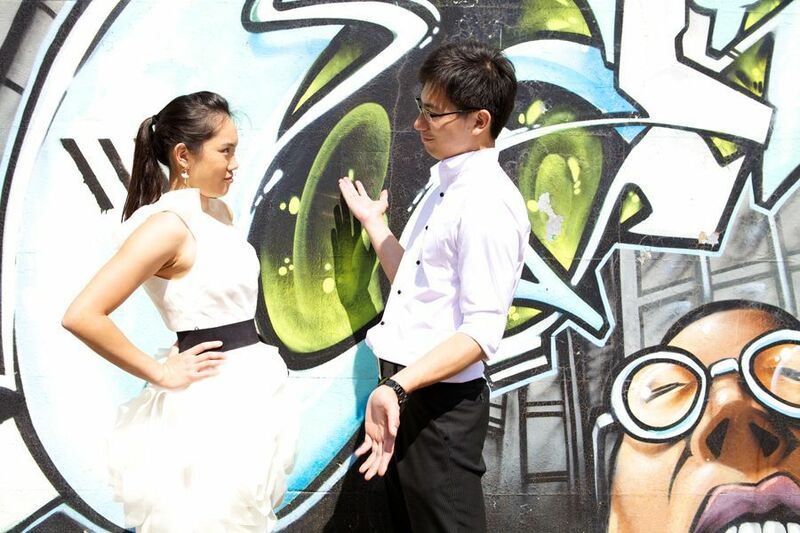 Apart from that, the other great ideas of the graffiti walls and pavilion are Jen’s which we also love. She gave us all the creative shots that we wouldn’t have thought of and none of our friends had done! We think you and Janis look great in your pics! We love her dress. Where’s it from? Janis’s dress is a Vera Wang dress and there’s quite a story to how she actually got her hands on it! As you know, Vera Wang’s wedding gowns are the dream for many brides, including Janis. While most of them come with a big price tag, there is an exclusive range “White by Vera Wang” which is relatively more affordable but sold only in the US. But, Janis was determined to get one for the engagement shoot. Plan A was to buy the dress online with Janis’s credit card and then send it to my friend Grace, who lives in New York, and then use Fedex to get the dress to Hong Kong. It did not work because even we were buying it online, we did not have an US billing address for the payment to get through. So there was Plan B. Janis made the international calls to all three David’s Bridal stores in New York, found the only one dress left in one store, managed to get the payment through the phone and get the dress delivered to Grace. Unfortunately, because of all the hiccups, the dress would not be mailed to Hong Kong in time before we had to depart to the UK. But luck was with Janis. Grace happened to be going to Taiwan to visit her family and on transit in Hong Kong for 3 hours. So Grace brought the dress with her, and I took a half-day off from work and went all the way to the airport to meet Grace and got the dress for Janis. 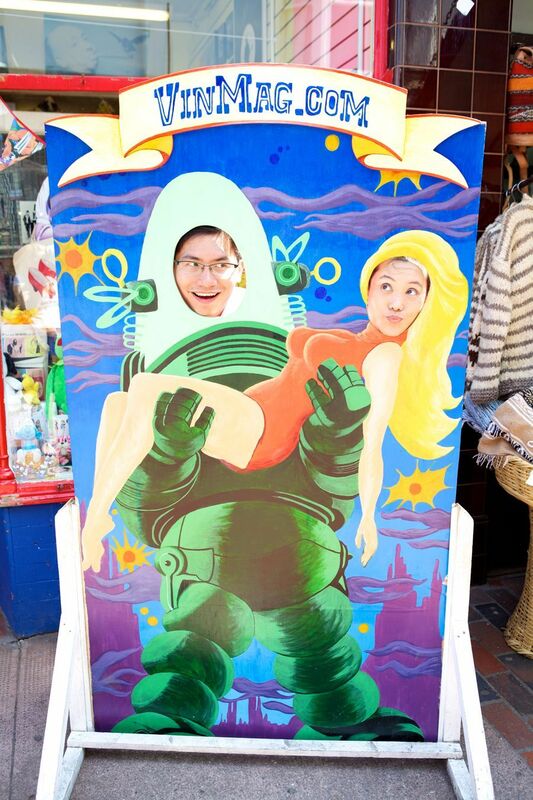 After this extraordinary journey, Janis was wearing the wonderful Vera Wang happily for the photos in Brighton! Wow! That’s quite a story! But, it was all worth it in the end. So, how is your wedding planning going and how are you feeling about it all? 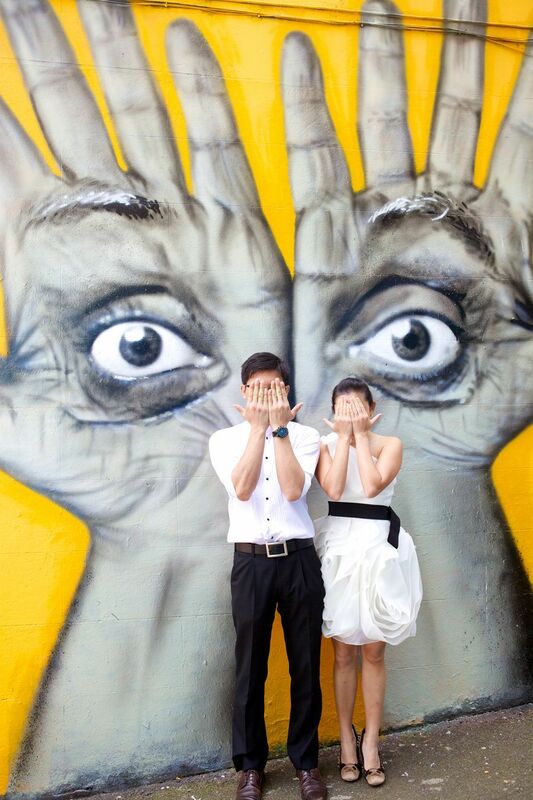 The thing is, we and our parents all have different expectations for the wedding. We grew up with a mixed heritage of both western and eastern cultures so sometimes we have very different ideas about the styles and scales of the wedding. To accommodate different expectations, we sometimes got nervous, angry and frustrated. And at some twists, luckily things just work out. We have decided to have an afternoon western style wedding ceremony on a lawn and an evening Chinese style banquet, which will perfectly compliment our cultures. That sounds wonderful! Where are you finding your wedding inspiration from? That’s a difficult question! I would say, from our love and those who loved us. Janis grew up in a boarding school in Devon, nurtured by a bunch of excellent teachers. I spent a significant part of youth with an American host family who unconditionally took care of me despite the immense amount of trouble I brought to them. Last but certainly not least, our parents raised us with love and everything. The wedding is a means of giving thanks to all these wonderful people in our life. 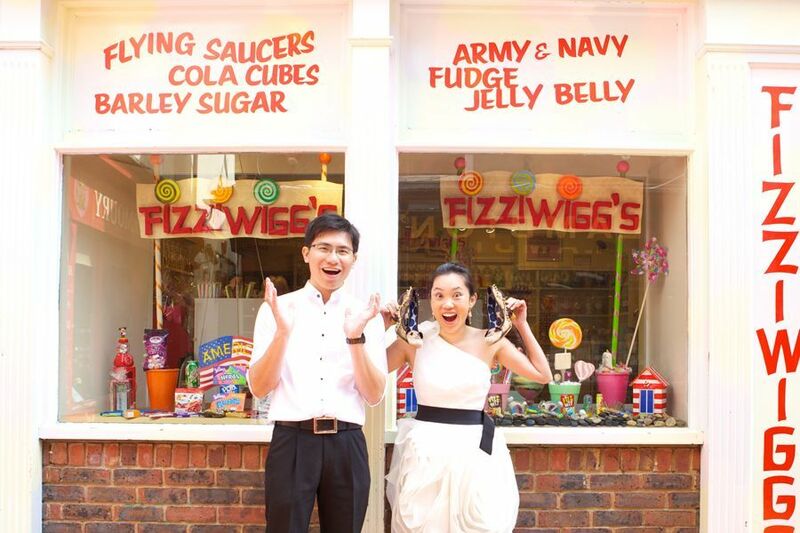 We loved Janis and Dennis’ seaside themed shoot, and think it perfectly reflected their fun personalities! 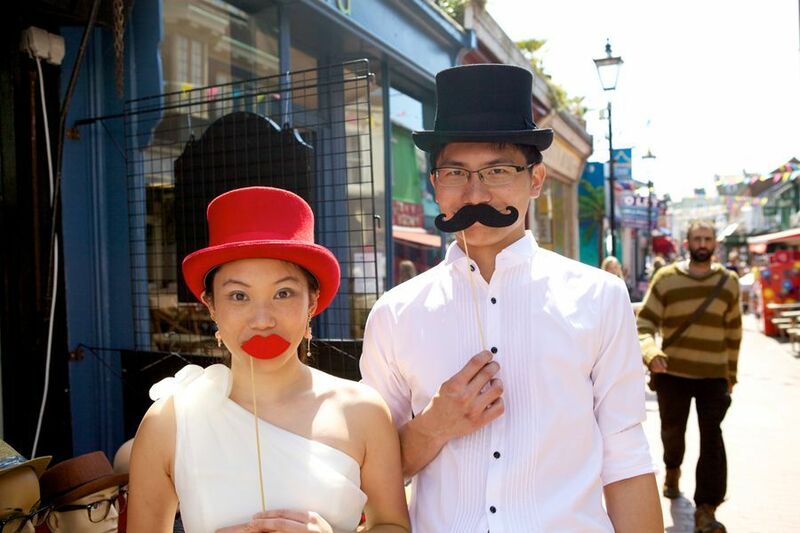 From finally becoming an item after a Facebook hacking, to internationally tracking down THE engagement shoot dress, we wish this couple a fantastic life together with lots more fun stories to come! 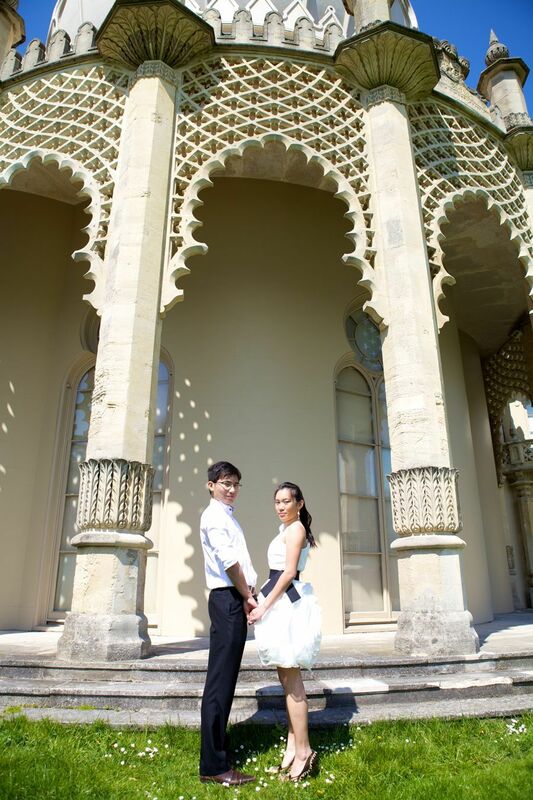 Of course, a HUGE Love Sussex Weddings thank you to the wonderful Jennifer Smith for sending us over these photo’s – they’ve really made us smile and made us fall in love with Brighton all over again!